Currently being offered to our registered users free of charge! 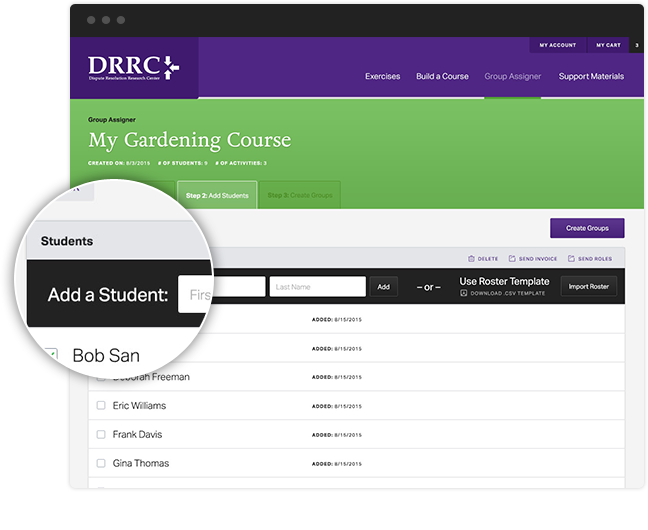 This easy-to-use web-based tool assigns students to groups of different sizes according to your specifications. 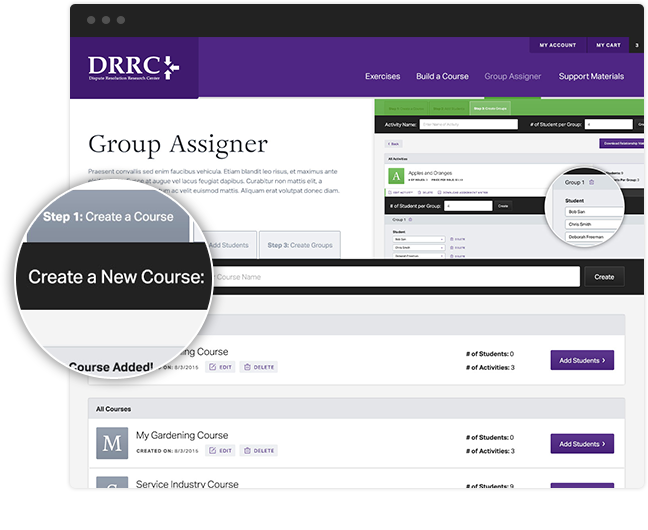 Group Assigner is a huge time-saver for faculty teaching negotiations and other courses that use a series of experiential exercises. Enter a name for your course. Your annual license is valid for a year. Add your students manually or upload them via our Excel template. 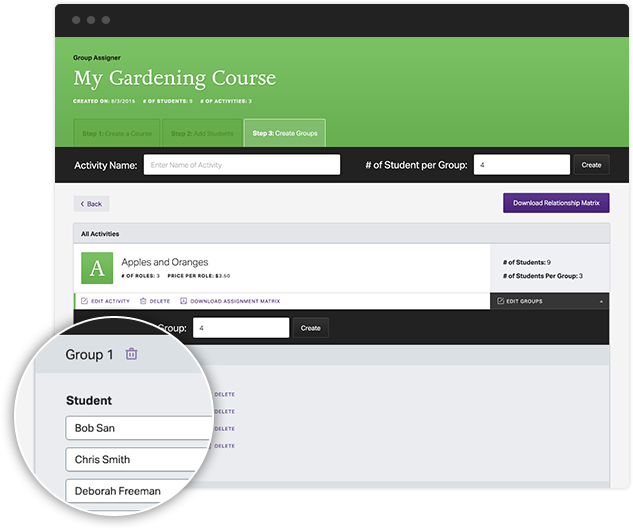 Group Assigner will divide your class into groups while minimizing the number of times the same students are grouped together throughout your course. Get Group Assigner for $0/year.